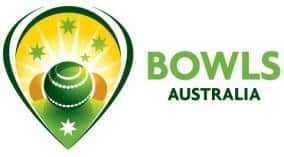 Bowls Australia has been successful in securing a substantial grant from the Federal Government to fund a training program to help older members get online. In a collaborative approach between Bowls Australia, Be Connected (Commonwealth Government Initiative to support older people in their communities to embrace digital technology) and IT 4 Retirees, a pilot program is being run in 18 selected clubs around Australia to help shape the program for general rollout to the remaining 2000 bowling clubs around Australia. Leopold and Drysdale have been chosen as two of these 18 initial clubs. Clubs in Ballarat, Dandenong, Mornington, and Frankston round out the selected clubs in Victoria. The program that will be run at the Leopold Sporties will be on Thursday 9th May in the function room commencing at 10am and will consist of 4 one hour modules, of which one is an hour for lunch. Each person who wishes to attend will be asked to fill in the attached Digital Skills Questionnaire and return it to me, either by email or by lodgement in the bowlers box at the club at your earliest convenience. I will also put some blank forms in the bowls shed for those who cannot print from their device. These questionnaires are to give the organisers an idea of how many people will be attending and what their skill levels are. Numbers will also help for the provision of lunch and the number of handouts that will be needed. Handouts will be provided for Windows, Apple & Android devices. Each person attending should bring their own device ie laptop, tablet or smartphone. This is a program to assist the “newbies” to IT (Internet Technology) and hopefully, get you all better acquainted with what your device can and can’t do! Please feel free to pass this information on to anyone that you think may be interested. This program is not restricted to bowlers, or the Leopold area, so friends, family, and members of other Geelong bowling clubs are very welcome. This initial program is complimentary to everyone attending, including lunch. However, there will be a charge for any subsequent programs that may be run. I will put further information out as it becomes available.